Contact us for information about our sponsorship package. 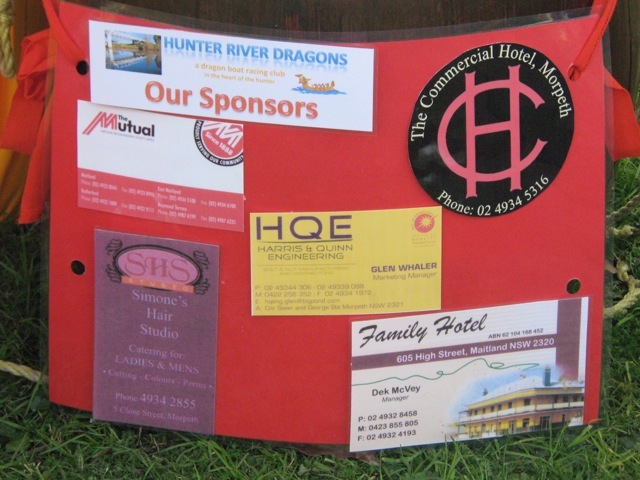 Note to Members - remember that sponsorship is a two-way package. 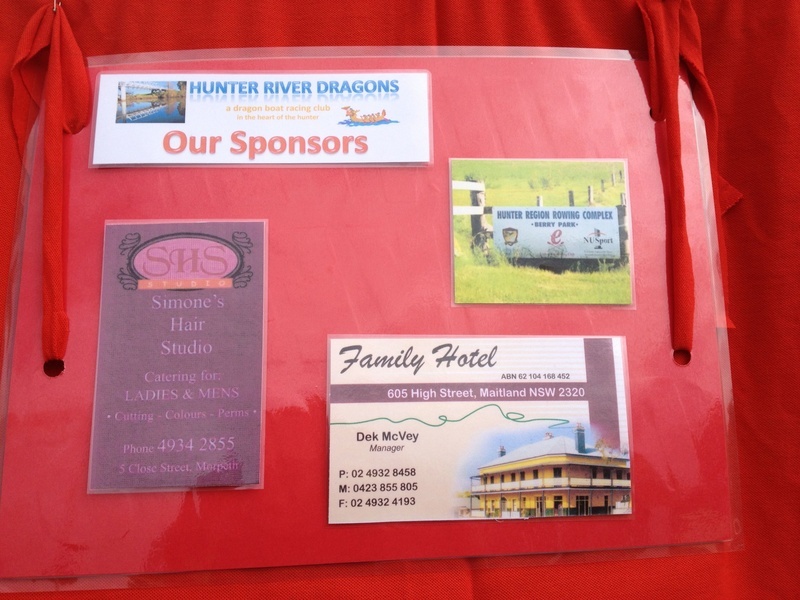 Please patronize our sponsors whenever you can, and when you do, please tell them that you are from Hunter River Dragons. This will let them know that they are getting something back for their generosity, and may encourage them to continue their sponsorship, or even increase it. We are proud to display our Good Sports Level 1 accreditation which shows our commitment to maintain an alcohol free environment as part of our competition, and to the responsible use of alcohol at celebrations after games and club endorsed social activities. We are also committed to meeting smoke-free laws. 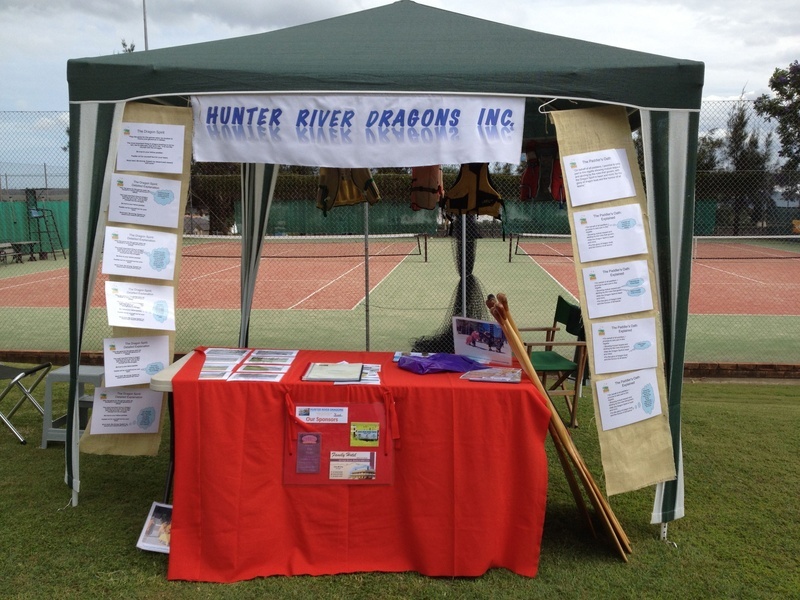 We abide by the International Dragonboat Federation anti-doping policies. 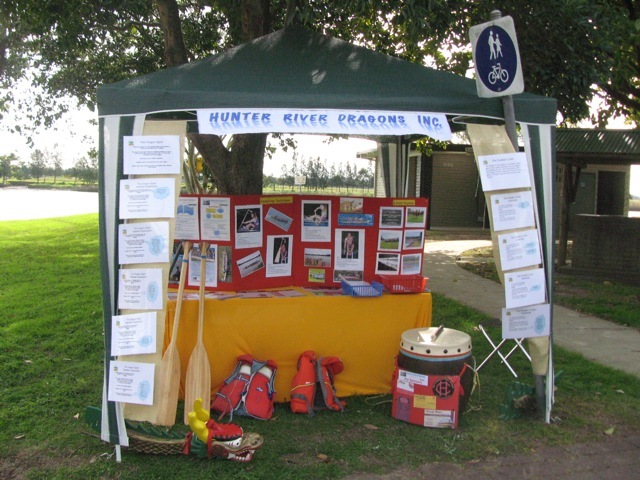 "Up the Creek Without a Paddle"
Sponsor Advertising at the Raworth Health & Wellness Expo, November 2011.